Monrovia, Liberia - President Ellen Johnson Sirleaf has issued Executive Order No. 92 pursuant to the Domestic Violence that seeks to protect women against violence and abolish female genital mutilation (FGM) against young girls under the age of 18. She said in 2012, Liberia committed herself at the UN to make sure an Act is passed to protect women against any form of violence. The Domestic Violence Law, which criminalizes domestic violence against women including violence against men and children, was passed by the 53rd National Legislature without the female genital mutilation component, which according to her undermines the very essence of the law and leaves it incomplete. 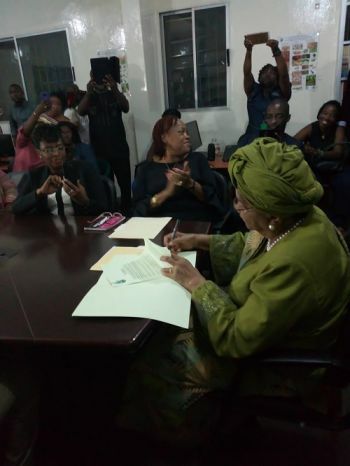 According to an Executive Mansion release, President Sirleaf made the statement on Friday evening, January 19, 2018 during the signing ceremony held in the Resource Conference Room of the Ministry of Gender, Children and Social Protection in Bassa Community, Monrovia. In brief remarks, President Sirleaf said domestic violence is a deadly and dreadful act of violence that occurs most often within intimate family relationship in domestic settings, which according to her include physical, sexual, economical, emotional and psychological abuses among others. Speaking further, she noted that spousal violence is also highlighted in the domestic violence bill that refers to violence between husbands and wives, stressing that it is frustrating to know that, there is no law in Liberia that criminalizes domestic violence adding, "Victims suffer silently with little or no redress. 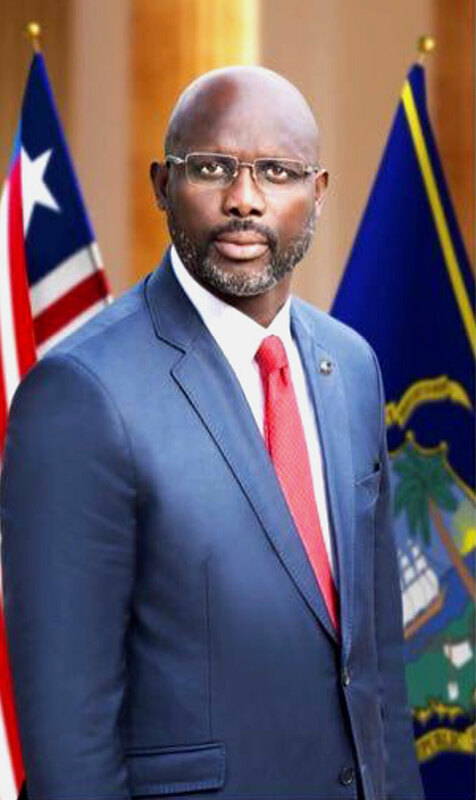 The Liberian leader used the occasion to emphasize the importance of the law, which according to her complements and implements Liberia's commitment under the Deceleration on Elimination of Violence Against Women. She furthered, the law provides effective remedies to promote the protection of women against any form of Violence; including violence against men and children. President Sirleaf also pointed out that the law provides specialized assistance to victims as we rehabilitate the treatment, counseling programs, support structures and increase the public and the justice system in the prevention and control of domestic violence. For her part, Gender Minister Julia Duncan Cassell said the issuance of executive order No. 92 shows the solidarity towards women and girls of Liberia. She noted that the Ministry has been working on the bill since 2015 adding: "Madam President, as you leave office this will be your legacy." Minister Julia Duncan Cassell commended President Sirleaf, the National Legislature for their strong support to the women of Liberia. In separate remarks, Civil Society Women, Rural Women and UN Women thanked President Sirleaf for signing Executive Order No. 92 Domestic Violence Act describing it as one step beyond. They extolled President Sirleaf for the support given the women over the years. The ceremony was graced by several high-profiled government officials including Liberia's development partners.